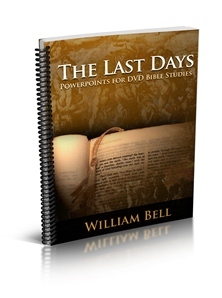 June 1st, 2009 11:58 PM | by William Bell | Day of the Lord, Featured Articles. Matthew 24 mentions the abomination of desolation. In response to the inquiry of Peter, James, Andrew and John, (Mark 13:3), Jesus answered a question concerning events and the time of his coming. The question, broken down into two parts, focuses upon “when shall these things be, and what will be the sign of your coming (parousia)? The “end of the age” is but part of the same question, (Matthew 24:2). Much of what is said in response hinges on the issue of what is the abomination of desolation? This text is a line drawn in the sand between Dispensationalists and Preterists. It causes one the first group to interpret the abomination of desolation as unfulfilled and yet future. On the other hand the latter group views the abomination of desolation as fulfilled and in the past. To say these are vastly divergent views is an understatement. In addition, both groups view the text as having its origin in Daniel 9. But, the reasons for the two views are what one might find interesting. First, they believe there is a difference between “this generation” of Matthew 23:36 and Matthew 24:34. The former is taken to mean the people living contemporary with Christ. Whereas the latter is one that is possibly ours, but yet unknown as of yet. I think most of them would like for it to be ours so they could say, “see I told you so.” But, don’t wait for that to happen anytime soon. They like to cry wolf and scare the sheep, but nothing happens. God must be slightly amused. Secondly, they believe that the “holy place” is a temple yet to be built. I read the other day that Prime Minister Benyamin Netanyahu is planning on building a Jewish temple at the site of the Dome of the Rock, on the ruins of the Al-Aqsa [mosque]. I would guess that there’s great anticipation and excitement going on in Premillennial Dispensationalists camps. Thirdly, they do not see the abomination of desolation as equal in event to “desolation of Jerusalem” in Luke 21:20-22. Interestingly, they do view the Lukan text as being fulfilled in AD 70, at the Roman conflagration of Jerusalem. Many have taken the abomination of desolation to be the Roman armies under Titus who destroy the temple in the war of AD 66-70, but as they correctly argue, it was too late to flee once the Romans had approached the temple. To this we say Amen. In fact, that is the very reason the abomination of desolation was given as a sign to forewarn the disciples before the event. It must be agreed that something caused these Christians to flee and escape before the city and temple fell. Not only that, but they were given specific details relating to weather difficulties, transporting nursing babies and flight while pregnant. All very important details to people whose means of transportation was quite primitive at the time. Add to that the observance of the Sabbath at which time the gates of the city would be locked preventing escape. Why Do Preterists See the Abomination of Desolation as Past? The abomination of desolation is not identical with the Roman invasion of Judea. In that, we agree with Dispensationalists. However, does it mean that those events are not connected and are therefore separated by almost 2000 years of intervening history? No. In observing the text, you may note that Christ cites the abomination of desolation as one of the signs leading up to the “end of all things” and his parousia. That Judea has not yet been overtaken by Rome is evident in the command and opportunity for Christians (being forewarned) to flee the impending danger. In other words, because they read and understood the sacred prophetic writings, particularly Daniel 9:24-27, they recognized the sign of the abomination of desolation and got out of Dodge (Jerusalem) leaving the unbelieving Jews who saw no need to trust in an proclaimed Messiah and prophet from Nazareth of Galilee. The warning to flee the city is a direct result of seeing the abomination of desolation spoken of by Daniel standing in the holy place. This is a ’cause and effect’ scenario. But, imagine telling first century disciples to flee the city and surrounding areas in view of a future temple to be built or commissioned by Netanyahu and you see the absolute lack of logic in Dispensational interpretation of scripture. It makes no sense whatsoever! It’s like prophesying that people today should flee America because it (might be) will be destroyed in 4000 AD, some two thousand years from now. Where’s the need for urgency for those living today? In chapter 9, God gives a command to the angel to measure the city for destruction and to begin at the sanctuary, a direct result of the abomination of desolation cause by the Jews themselves. In like manner, Jews polluted the temple of prior to the AD 70 destruction with rioting, looting, and murder. First century historian Josephus documents well the barbarous acts of the zealots that profaned the temple with their abominations. Simply enough, Preterists do not play the word games with the term “this generation in Matthew 23:36 and 24:34. They are one and the same, and mean the very contemporary people living in Jesus’ day. There was a temple “holy place” existing in their day and they had no reason to look for one built by Netanyahu. They had zealots in their day and they recognized the abomination of desolation. They knew well the refuge of escape to the surrounding mountains in the area and made haste to secure their safety at times and conditions convenient to their circumstances. Without equivocation, Christ affirmed it would all come to pass before that generation passed. The abomination of desolation was a sign the temple and city would be destroyed. The destruction of the city and temple was the sign that Christ was on the throne and came on the clouds of heaven. See the Re-Examination for more studies on the Abomination of Desolation. « What Is God’s Economic Stimulus Package?